Butter-y, sugar-y GOODNESS, minus the butter..of course! My new favorite vegan baking recipe, perfected! Combine flour, cornstarch, and baking powder in a bowl. In a separate bowl mix margarine & sugar. Add soy milk, vanilla- fold in dry mixture. Combine sugar and cinnamon on a plate. 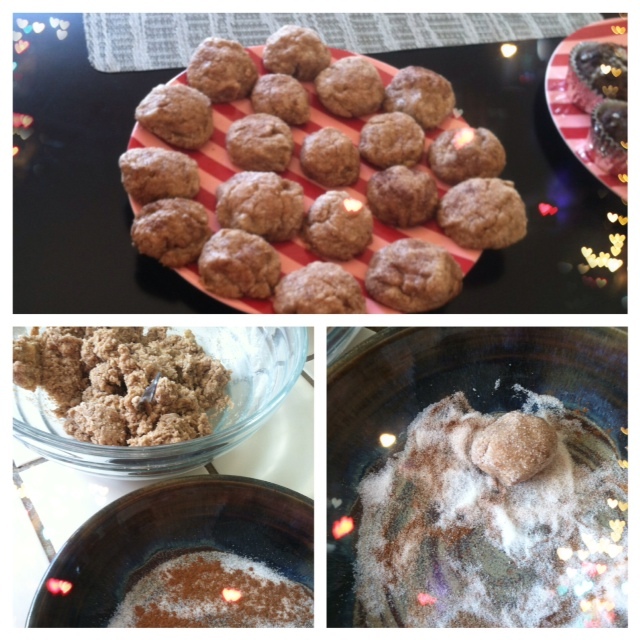 Shape dough into 1in balls and roll each in sugar & cinnamon. Place cookies on cooking sheet. Amazing!! Love Brittany Michele’s Recipe! !